This 1/2” thick ash desk clock is ideal for the rodeo enthusiast. 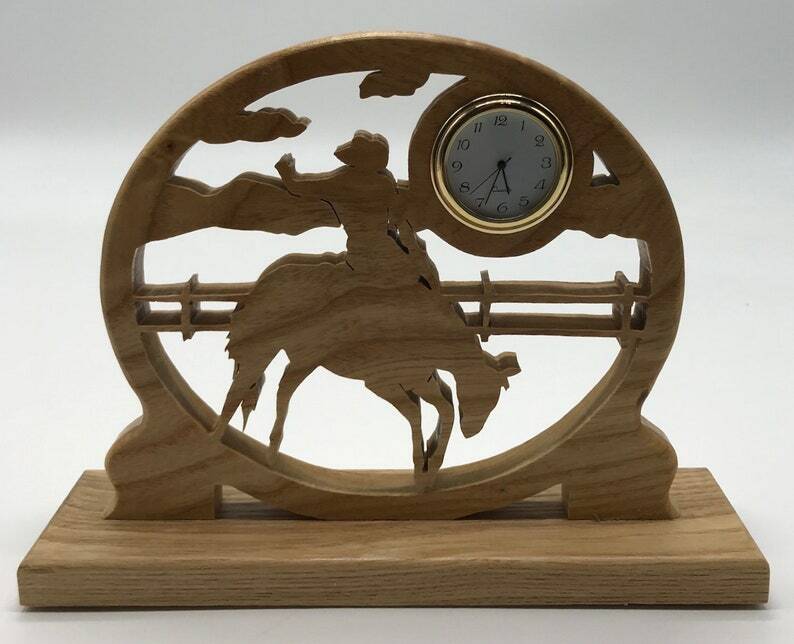 It is a beautiful scroll saw fretwork oval clock depicting a cowboy riding a bronco. The clock itself is approximately 6” wide by 5 1/2” tall tall. The 1/2” ash base is 7 1/2” wide and 2” deep. The quartz movement is 1 7/16” in diameter.